Looking to remodel a kitchen with a distinctive, modern look? This Gold Vantage Stainless Steel Euro-Style Island Mount Range Hood will be the attractive and functional focal point of a renovated or redesigned kitchen. 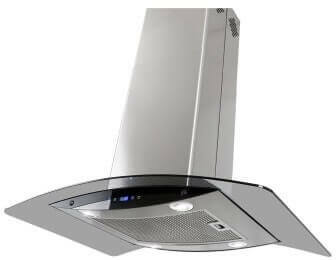 Made from the highest quality stainless steel, this range hood boasts a 840 CFM blower, and has two 2-watt LED lights to illuminate your kitchen. 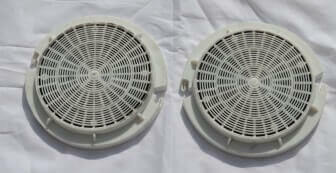 It features a non-return air flap that prevents heat from escaping when it is not in use. It works quietly, with a noise level of less than 65 decibels and the brushed stainless steel finish is accented by tempered glass wings for a modern, contemporary look and feel you're sure to love. The Gold Vantage Stainless Steel Euro-Style Island Mount Range Hood gives you the choice of three operating speeds, slow, medium, and high. The motor has 150-watts of power and it operates efficiently, but it is deceptively powerful even at low speeds. A delayed power auto shut-off can be programmed to the time of your choice and you can rest assured this is a quality product made to last as it comes with a 3-year warranty. It meets all ETL safety standards in the United States and Canada. The Gold Vantage Stainless Steel Euro-Style Island Mount Range Hood is a good bargain at a reasonable price with style that will blend with almost any kitchen décor scheme. The Gold Vantage Stainless Steel Euro-Style Island Mount Range Hood is easy to install as it comes with an operating guide and everything you need to install it yourself in a matter of minutes without the help of a professional. However; some users had problems deciphering the instructions and others have stated that the instructions were too vague to be of real use. The Golden Vantage Stainless Steel Euro-Style Island Mount Range Hood comes with a dishwasher-safe anodized aluminum filter that is easy to remove, making maintenance a breeze. It has the look and functionality of higher-priced models without the price tag they carry. 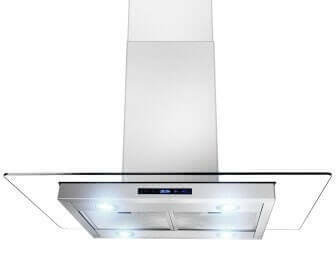 This makes the Gold Vantage Stainless Steel Euro-Style Island Mount Range Hood a must-have item for any modern kitchen. 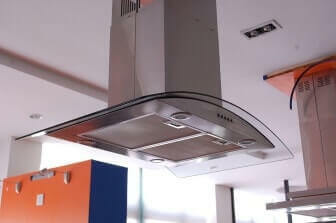 However, before you decide to buy this particular range hood it would be wise to check out reviews written by customers who've already bought and used this particular model.